Read David's report on Rosie Darrah who is about to embark on a life-changing experience. 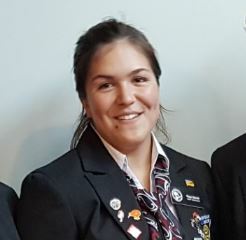 In January 2018 Rosie will travel to the north of Switzerland, near the German border, where she will live with a host Rotary club for the next 12 months. President Jenny reported that the stock take at Whitby New World had gone well and thanked those who participated. They raised $680 for club funds. Deb reported that she and Steph had generously donated 31,000 South African Rand to Shirley-Anne and her team for the Sigagula Children's Centre. She read out Shirley-Anne's letter of thanks which has been added to the story about RAGES that was posted two weeks ago. If you missed it, you can read it here. 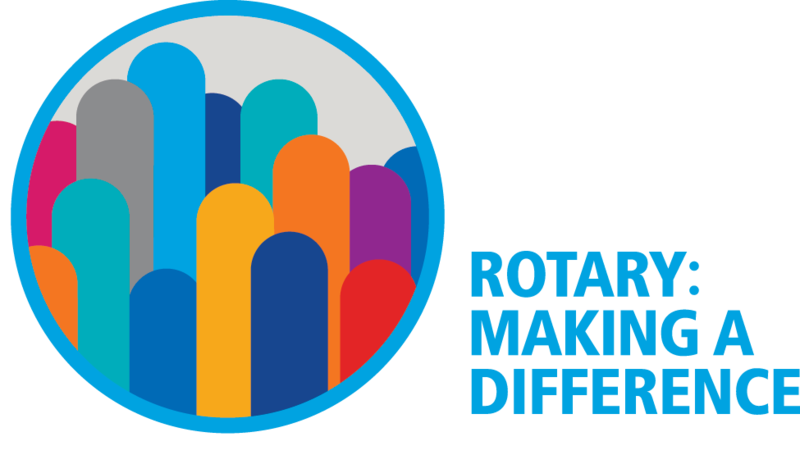 It includes a link to Rotary Showcase. Adrienne reported on progress that has been made with the Playable Porirua project. You can read her very impressive report here. 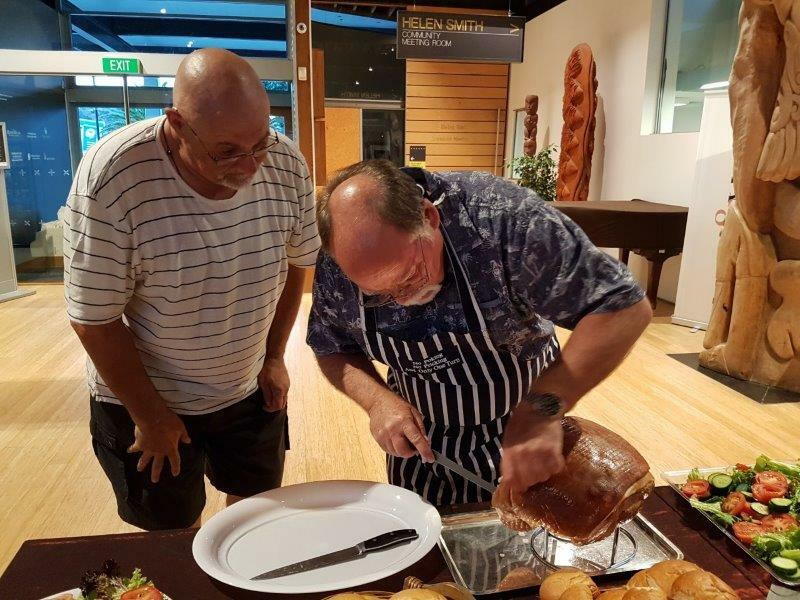 President Jenny reported that the 'kiwiana' Christmas party had been a great success with plenty of fun and laughter, delicious food prepared by Ian Murray and Chris Blick and their teams and distributed all evening. 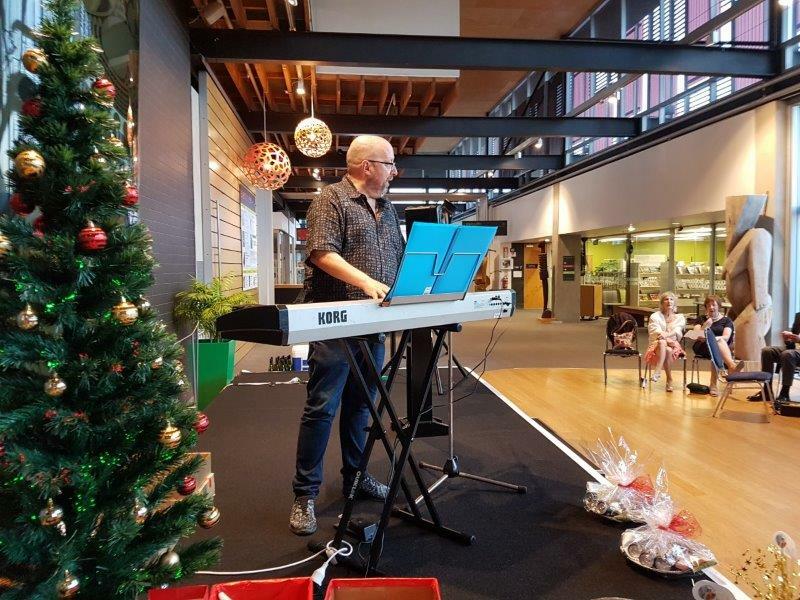 David Dell entertained us throughout the evening with some of his very own compositions and we all joined in with the odd Christmas carol. 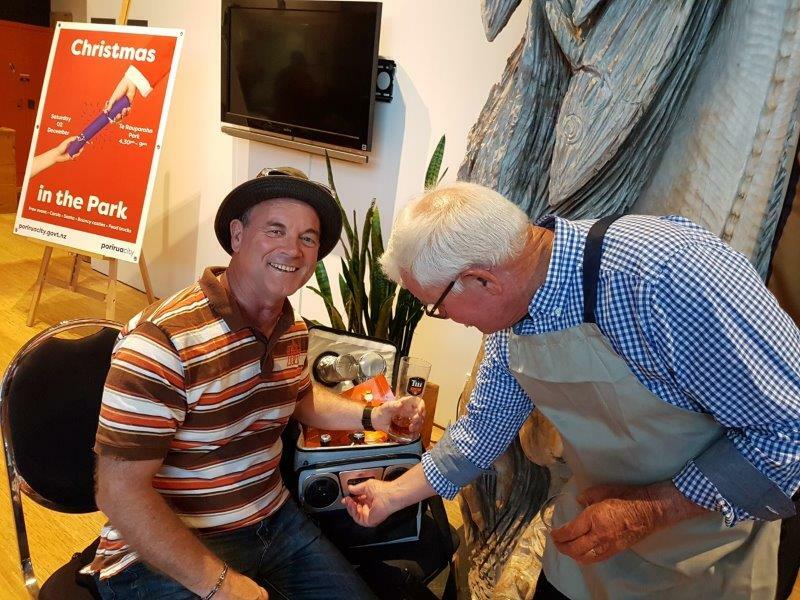 Prizes were awarded to the two people who had most faithfully represented 'kiwiana' - Janet Reidy for her portrayal of a pukeko and John O'Connell for presenting himself as a 'good kiwi bloke'. You can find some more random photos of the evening here. Ian Catherall is beginning to feel less like a visitor and more like a member of the 'team' and President Jenny welcomed him again. In addition, President Jenny welcomed Gaylene Lines, District International Youth Exchange Inbound coordinator, outbound students, Tori Guy, Rosie Darrah, Reagan Coulter and Taz Cherian, as well as Mandi Bates, a member of the District Youth Committee for several years who came to say goodbye before leaving for a new career in Christchurch at the end of the year. 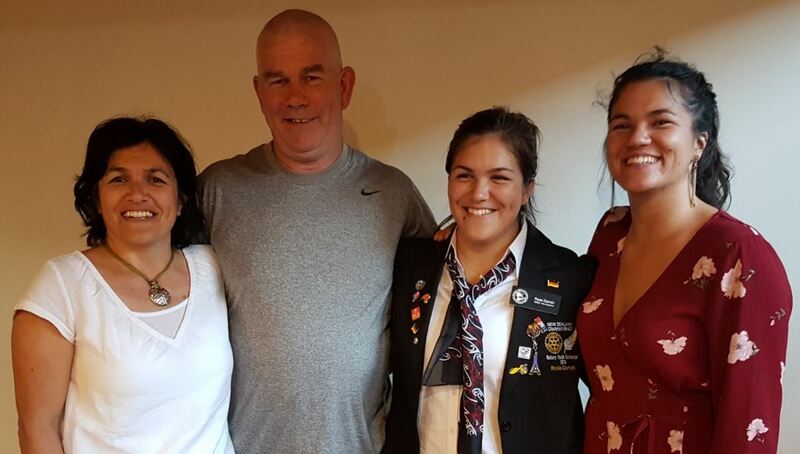 President Jenny also welcomed Rosie's family, her mother Adrienne, father Mark and sister Tayla. The story and the photos for the Children's Christmas Party are now available for your pleasure. If you go here to read Terrie's story, you can then click on the link to the wonderful photos taken by Graham Craig. Mike has written about the Parumoana Speech Competition that took place on 1 December and which delighted and enthralled the audience as usual. Aditional photos, taken by Graham Craig, are in our Gallery here. If by any chance you missed watching Deb's TVNZ live interview, then you can catch up with it here. 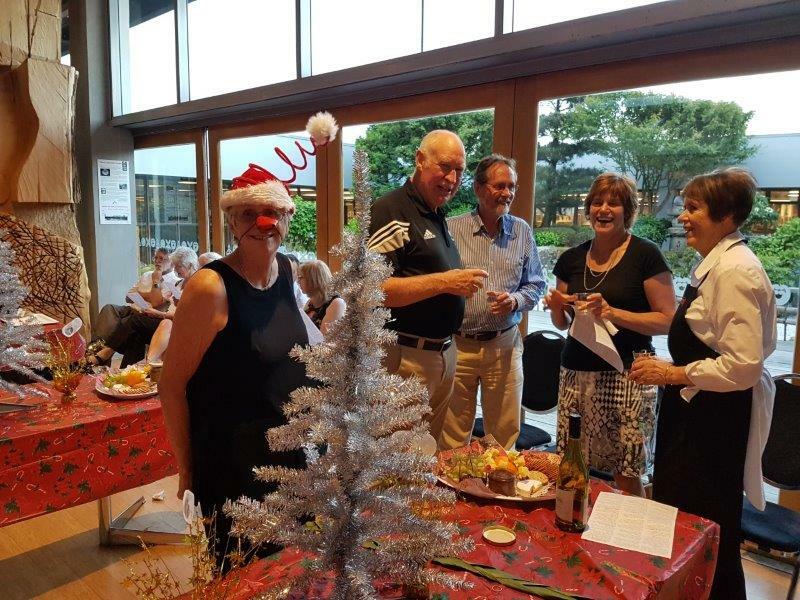 Rotary Kaukau is organising the Khandallah Village Street Fair on 10 December. Here are the details in case you'd like to pop along and support them. Do you receive the RDU magazine digitally? In case you don't here's the December/January 2017-2018 Edition. In case you missed November's E-Newsletter from Our Porirua, that's available now to read - as are those from previous months. The next E-Newsletter will come out in January 2018. 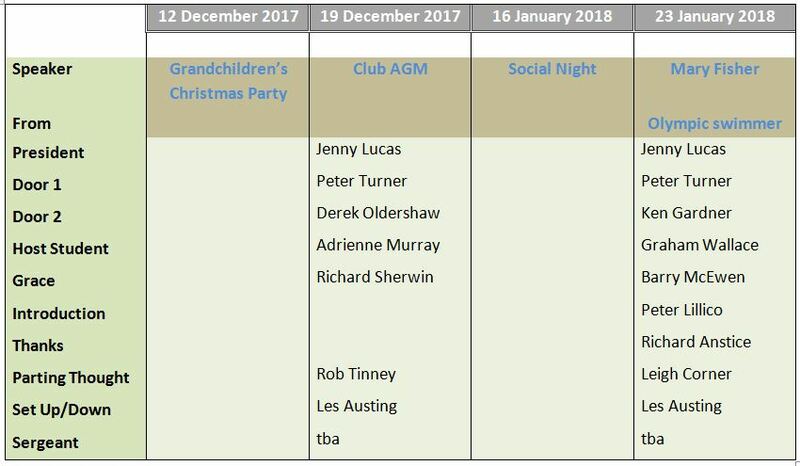 No normal meeting on 12 December - it's the night of the grandchildren's Christmas party so come along if you're involved. Please make sure that you give your name to Professionals or Allan Nicholls if you intend to be there. The party will be upstairs and will begin at about 4.00 with dinner at 6.00. 19 December is the AGM - should be quick! We were reminded that Rhys Sinke will be returning home on 10 January. More details of flight times at our next meeting. We're in recess until 16 January 2018 when there will be a social evening at Ron and Jenny's. Behind the scenes of Polio Eradication, here’s how Rotary’s national advocacy advisers are putting polio on the world stage. Keith Harrison gave us the parting thought, 'As we are entering the Christmas season, remember that true happiness is not achieved by getting something; it is achieved by becoming something'.